Our new proposal for student is The Business-Institutional Track – a collection of meetings, presentations and visits in the afternoon (further description below in Programme section). Contemporary history unveils a sophistication of financial markets and instruments-in an interplay of asymmetry of information, principal-agent disconnect, and externalities-to the extent of making them vague and obscure to common understanding. The objective of this course is to develop critical thinking and assessment of modern finance tools and practices that shape today’s economy. The course is based on academic readings, screenings of selected finance movies, and case discussions. During the course, we will also refresh basic financial concepts as capital structure, business valuation methods, and corporate governance. The main objective of the course is to share knowledge necessary for running own ventures in rapidly changing environment in which new technologies play a key role. The curriculum includes the issues of developing your own innovative business from the strategic, technological, product, financial, team management, legal and personal development perspectives. business models’ verification and improvement. understand mechanisms of start-ups’ funding and start-ups’ ecosystem functioning. The main objective of the course is to develop students’ competences for managing human capital in organizations in valuable way. Supportive objectives are focused on strategic approach, key players, core technics and assessing value of human capital management during HCM process implementation. increase ability to work as a team member. The main objective of the course is to make students to understand basic conceptions of environment of International Business such as bounded rationality, uncertainty and tendency to pursue consistency, to know how to analyze organization with structure, political and cultural framework, to know how to analyze organization in three levels which are individual, group and organization level in the international business environment. 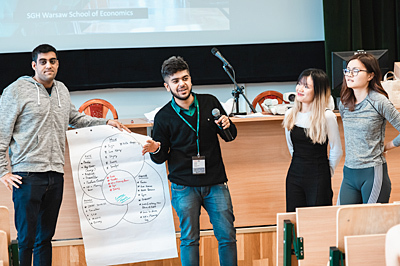 The course is aimed at discussing the most important determinants of innovation activity in enterprises as well as issues concerning innovation strategy formulation, the economic evaluation of innovative undertakings and managing an innovation project. The course contains: features of innovation processes; innovation strategies of enterprises; the economic evaluation of innovative undertakings; creativity, knowledge management vs. Innovativeness and many more. be able to identify the external sources of the founds for innovation and explore the possibilities of making use the funds in a company. The main objective of the course is to make the students familiar in practice with the wide range of types and varieties of coaching, coaching methods and tools applied in coaching and learn how to use appropriate visual techniques, adequate for the specific types of coaching. 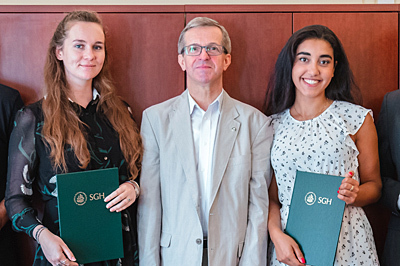 A novelty in this year's recruitment is the proposal to participate in the Business-Institutional Track which consist of seven institutional and business activities, familiarizing students with the offer of SGH business partners and such institutions as e.g. the National Bank of Poland or the Warsaw Stock Exchange. The activities of the Center for Corporate Relations and the Center for Entrepreneurship and Technology Transfer will be promoted. ability to get to know business from the practical point of view, ability to visit well-known organisations. Albert Tomaszewski, PhD, an Associate Professor in the Department of Strategic Management at SGH Warsaw School of Economics. A researcher of contemporary entrepreneurship and new-economy organizations (i.e. startups). A lecturer (with 10 years of experience in graduate and post-graduate courses), educator, business trainer and consultant with startups experience of his own. Marzena Fryczyńska, Dr, works at Institute of Human Capital Management, Collegium of Business Administration, SGH Warsaw School of Economics. She has more than 15 years of experience working at universities. Her teaching activity has been offered at BA, MA and postgraduates’ studies in Polish and English, as well. She completed scholarships, teaching and research activities abroad i.e. 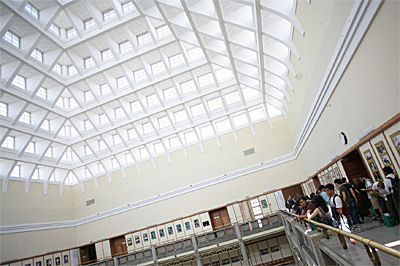 Northeastern Illinois University, St. Ambrose University, University of Minnesota, Carlson School of Management USA, Lebanese American University, Lebanon, ISCTE Business School, Portugal, Hungarian Academy of Sciences, Hungary, Mykolas Romersis University, Lithuania, and also taught during Global Summer School at KNU in Daeugu, South Korea. She is a researcher of human capital management, career management, assessment and development of competences, and networking in management. For more than 19 years she has taken part and managed scientific and business projects. She is an author and co-author of books and articles (more than 50). She serves as Manager of Postgraduate Studies of Human Capital Management at SGH. Anna Masłoń-Oracz (PhD) is a lecturer at three continents (Europe, Africa and Asia), based at SGH Warsaw School of Economics. She is a economist and organizational behavior expert. Dr Anna is and a member of the International Women’s Forum, and Vice-President of Polish European Community Study Association. As a business oriented researcher, Dr Anna has done analysis on how clusters influence regional development competitiveness from smart specialisation perspective. She is also involved in international projects in many countries in Africa concerning women empowerment, development of SME’s and regional innovation system to enhance the role and importance of regional innovation systems (RIS) in economic development and growth. Joanna Żukowska, PhD, Assistant Professor at Business Enviroment Unit at the Institute of Enterprise at SGH Warsaw School of Economics. She holds International Coach Certificate in the scope of coaching, learning and development, issued by Edexcel and BTEC Professional Qualifications. She was conferred the CoachWise Certificate accredited with the International Coach Federation. The tutor of Acceleration Scientific Society. 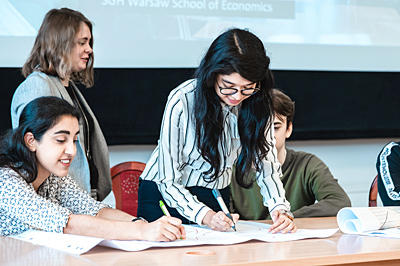 Head of Post-Graduation Studies - Academy of Professional Coach at Warsaw School of Economics. She specializes at HR management, marketing communication, coaching, creation of relationships with clients. She make her core research in HRM area. She is specially interested in employees’ evaluation theories and methods. She took part in scholarship at the University of Bologna in Italy and at Fordham University of New York City. She was the visiting professor in Toulouse Business School, ISCAP Porto, Vilnius Business School, Turku School of Economics, ISCTE Lisbon, Budapest Business School, Universita degli Studi di Firenze. The authoress of numerous scientific publications and researches on the above topics, lecturer at conferences and seminars. Focal point of SUW 2019 cultural programme is trip to UNESCO World Heritage sites Cracow, Memorial and Museum Auschwitz-Birkenau and Wieliczka Salt Mine (3-day guided trip by bus. Please see Accommodation and fees for the price). 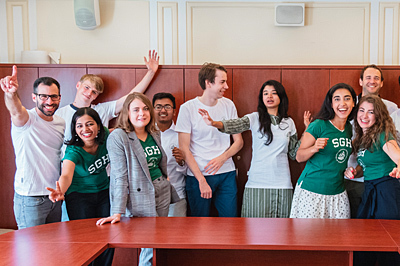 During SUW 2019 participants will be staying in Sabinki dormitory in double or triple rooms with wi-fi connection. Dormitory also has common areas including billiard and TV room, and space for parties. Sabinki dormitory is located within a walking distance from SGH campus. 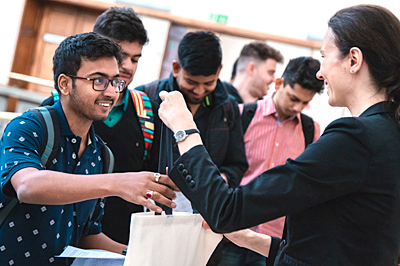 Candidates interested in applying for the Summer University Warsaw 2019 course are asked to fill in the electronic application form.